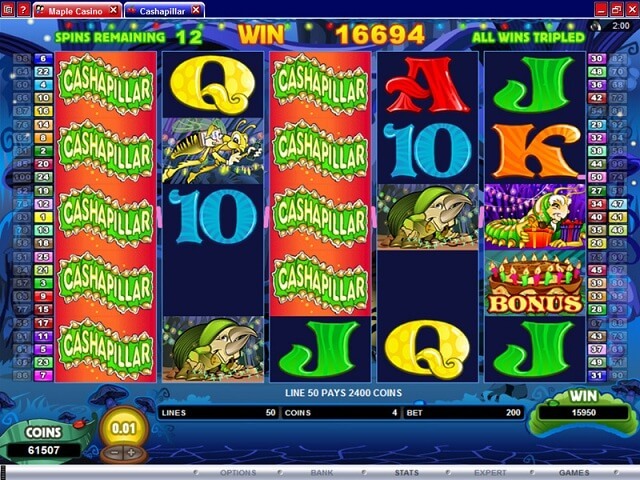 Cashapillar is not just a humorous play on words, but also a whimsical little slot game created by the fine folks at Microgaming. 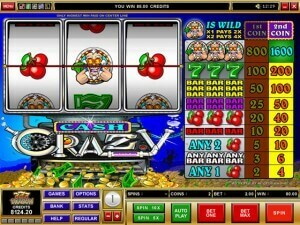 Cashapillar provides a fun theme that will take your cares away and give you a chance to win some cash at the same time. 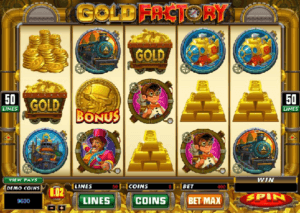 You can play this game at Microgaming casinos such as River Belle Casino, 777 Dragon Casino, All Slots Casino, and many others. Right away, the light-hearted, somewhat bouncy music will make you feel at ease without annoying you the way that some repetitive video slot game music can. The symbols include various colorful caterpillars, ladybugs, bees, slugs, and more. The traditional 10, J, Q, K, and A symbols are also represented. Animations occur, along with musical changes and sounds, to signify many winning combinations. 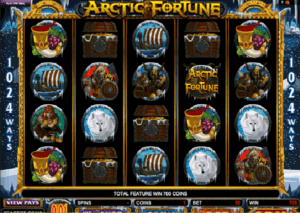 As a 100 payline game, it is somewhat expected that the coin values will be fairly limited, and they are, with the only selectable values at 1 and 2 cents. 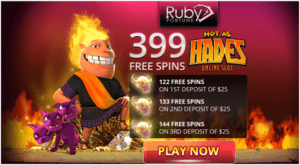 Of course, with the high number of paylines and 10 maximum coins to bet per line, you can bet $20 (CAD values given in this review) per spin. 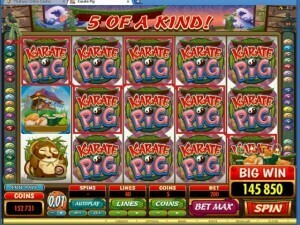 You can also cover all of the lines with a bet of just $1 per spin, if you choose to. 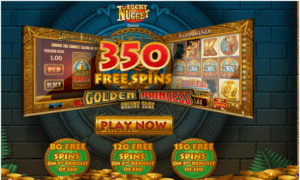 The regular jackpots top out at 1,000 coins (or 10,000 if betting ten coins per line), but you can when up to 2 million coins when betting max coins depending on how many wilds you get, or 6 million coins during free spins with a max bet. The most valuable non-special symbols are the caterpillar, ladybug, and slug, with base jackpots of 1,000 coins, 400 coins, and 300 coins, respectively. 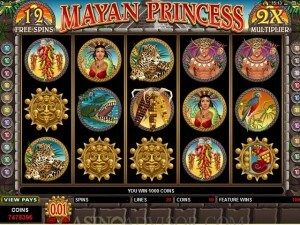 Wild symbols can also double winning combinations, which can add to your winnings in a hurry. Cashapillar’s wild symbol is the Cashapillar logo, which doubles wins when it substitutes inside a winning combination, as mentioned before. Furthermore, the Cashapillar logo appears stacked on every real. The Cashapillar logo cannot substitute for the bonus scatter symbol, of course. What is the scatter symbol? It is a tasty looking cake with colorful candles. 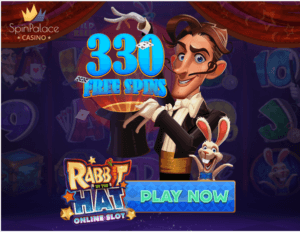 When you get three or more of the scatter symbol, you get 15 free spins. 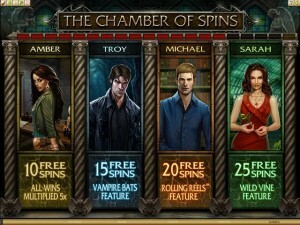 During your free spins, which can be retriggered, all wins are tripled. 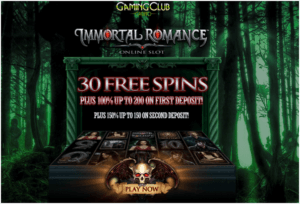 Furthermore, when you get a wild symbol as part of a winning combination during your free spins, you can win up to 6 times your line bet. 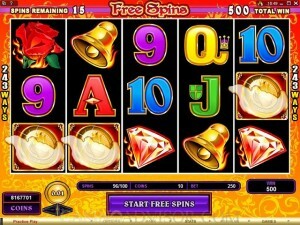 During the free spins, the background color changes and the music becomes even more upbeat, with a ragtime feel to it. Cashapillar makes fun a priority and it shows. 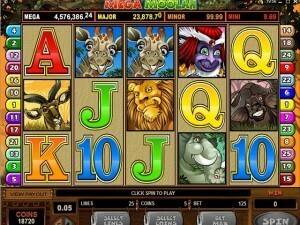 This game is a great addition to Microgaming’s growing roster of amusing video slot games, and can provide players with some really huge wins during free spins and with the help of the Cashapillar wild symbol.